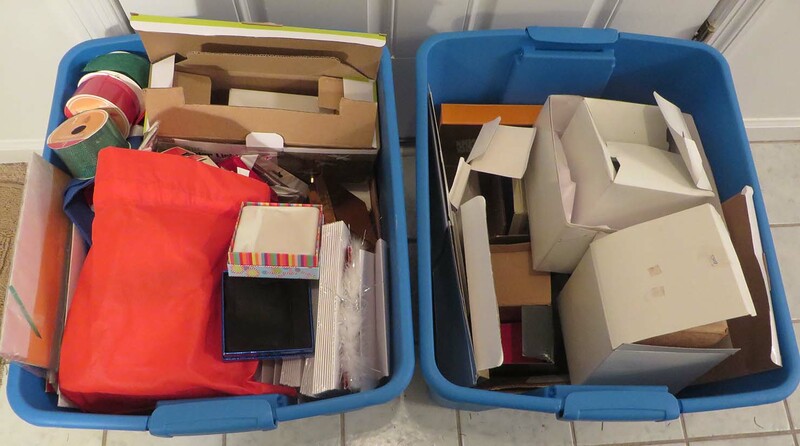 A couple weeks ago, I boldly announced that my word for 2016 is DECLUTTER. My #1 life goal this year is to declutter my entire house and garage: 1,500 square feet of space on two floors. I’ve lived in the same house for 20 years and have never, ever done this before (too busy working and being a single mom). My son’s in grad school and now’s the time! To get in the mood (and just to see if I could do it! 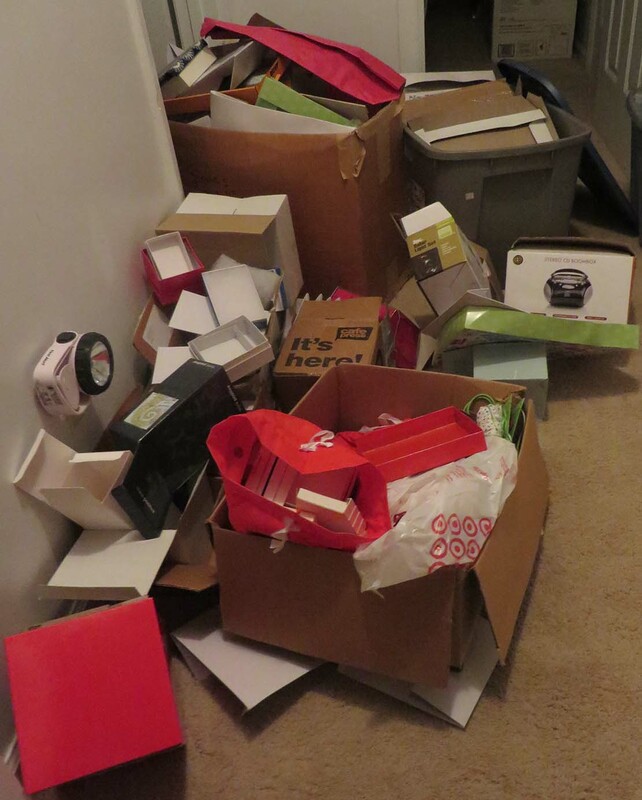 ), I cleaned and organized one area of the house in late 2015. Actually, I needed to find something in the medicine stockpile and ended up having to pull all medicines and beauty supplies out on the bathroom floor to find it. A week later, when I couldn’t stand having to lean over the pile every day to see in the mirror to get ready for work in the morning (! ), I finally went through everything. Who knew? I had make-up and beauty products that I’d forgotten about. And some of the over-the-counter meds had expired in 2007! Although I neglected to take a “before” photo, here’s my first “after” result. And it still looks this way a month later! Yay me. 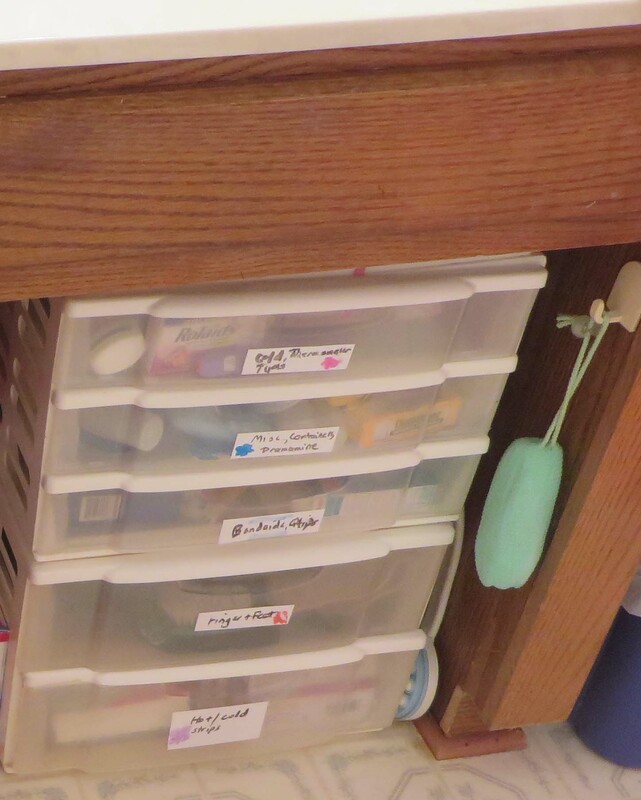 I even used a cool whiteboard tape to label each drawer in my little cabinet — and discovered (the hard way) that using a fine point erasable marker would’ve made the labels easier to read than the pen I used did. My garage, for example, couldn’t possibly be decluttered in a day, so I divided it into sections and allotted seven weekly sessions to complete it. Since I spent the first few days of January putting Christmas decorations and supplies back in the attic, it seemed like a logical place to start. Here’s the “before” photo. I had a ton of cheap, dollar store shirt boxes that were super flimsy and didn’t work well. Didn’t realize how bad they were til I bought a box of better-quality boxes this year and saw the difference! 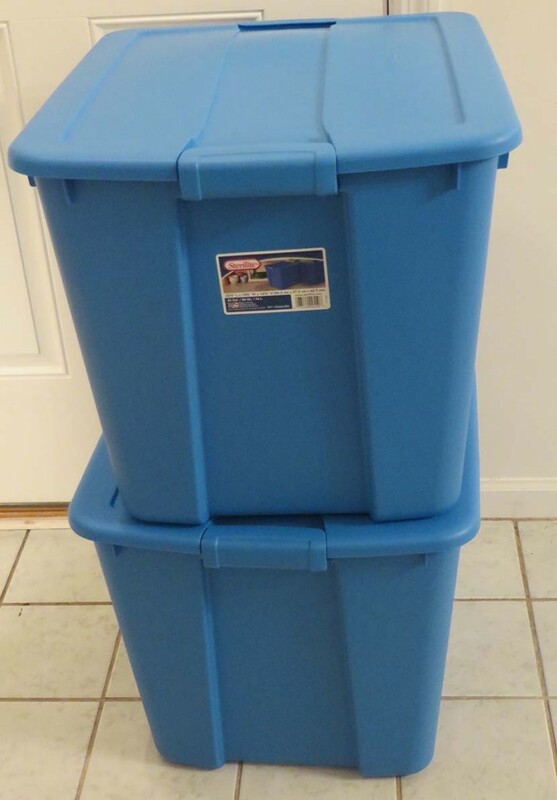 I tossed a ton of crummy boxes in the recycling bin, bought two sturdy plastic crates, packed the remaining boxes — and even labeled the crates before returning them to the attic. One week down, 51 weeks to go. 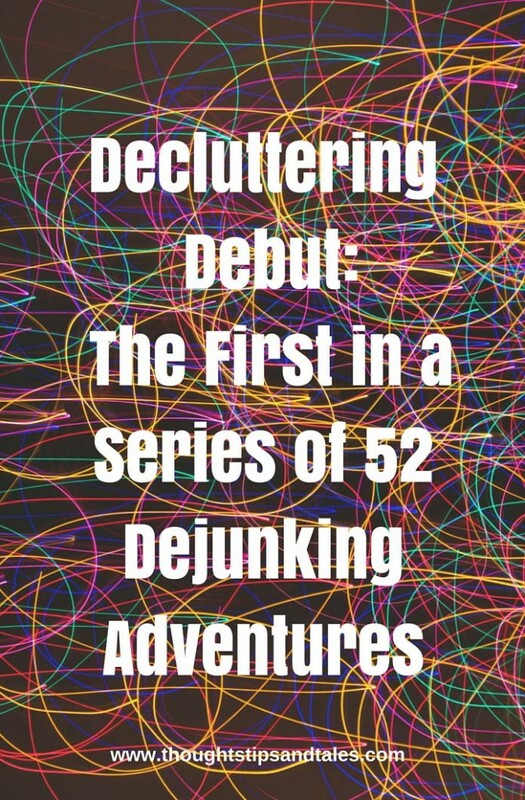 This entry was posted in decluttering, decluttering in 52 weeks and tagged 52 weeks of decluttering, decluttering, decluttering in 52 weeks, organizing the house. Bookmark the permalink. Things always feel so much better after a good declutter! Looks like you are on the right path. I love using those big Tupperware too.